Private Internet Access vs PureVPN vs Private Internet Access vs PureVPN 2019 - 5 Tests, 1 Winner! PureVPN, out of Hong Kong, and the US-based PIA are two superb VPN services with differing strengths and weaknesses. PureVPN has a lead when it comes to speed; however, its server locations, including Central America, Oceania and Africa, while impressive, don't match PIA’s abundance of servers, which are spread out in an equally impressive amount of countries. Security wise, they both have comparable 256-bit data encryption to protect users, and kill switches to protect users from unencrypted data leaks. As far as logs go, PureVPN keeps no activity logs, only session logs while PIA keeps no logs. On the other hand, both PureVPN and PIA cannot access Netflix so they are on equal footing there, but both offer a seven-day refund policy should you be unhappy with the service. 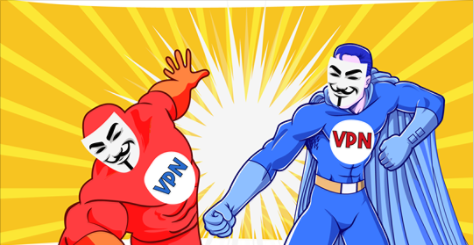 Both Private Internet Access and PureVPN are considered top-tier VPN providers with a close balance of features and security standards. Even though both providers operate a large network of servers, PIA's network is more dispersed. Both providers offer important features such as a kill switch and DNS leak protection. Best VPNs for Torrents Both PIA and PureVPN support torrenting, but only on a limited number of servers (for legal reasons). PureVPN has dedicated servers just for torrenting and with all its privacy features, it can make torrenting a smooth experience. PIA also has servers specially designed for this purpose, and automatically redirects all your traffic through these servers while you are torrenting. Both PIA and PureVPN support torrenting, but only on a limited number of servers (for legal reasons). PureVPN has dedicated servers just for torrenting and with all its privacy features, it can make torrenting a smooth experience. PIA also has servers specially designed for this purpose, and automatically redirects all your traffic through these servers while you are torrenting. Best VPNs for Windows PIA and PureVPN both offer easy-to-install and easy-to-use Windows apps, packed with features and supporting all security protocols used by the providers. The only feature PIA lacks that you’ll find in PureVPN is split tunneling. PIA and PureVPN both offer easy-to-install and easy-to-use Windows apps, packed with features and supporting all security protocols used by the providers. The only feature PIA lacks that you’ll find in PureVPN is split tunneling. Best VPNs for Android The Android apps provided by both PIA and PureVPN are not that different when it comes to the features included, as both offer public wi-fi protection and a kill switch. The PIA Android app supports a higher level of encryption than the PureVPN app - however, both support advanced security protocols. In addition, the PureVPN Android app offers split tunneling. The Android apps provided by both PIA and PureVPN are not that different when it comes to the features included, as both offer public wi-fi protection and a kill switch. The PIA Android app supports a higher level of encryption than the PureVPN app - however, both support advanced security protocols. In addition, the PureVPN Android app offers split tunneling. Best VPNs for Mac It’s not very common to find VPN Mac apps that support as many features as PIA and PureVPN. Both apps support multiple protocols and are very easy to use. Both include advanced features such as a kill switch and auto-connect. PureVPN also supports Stealth protocol on its Mac app, as well as split tunneling. PIA allows you to customize your connection settings very easily or gives you the option to allow the app to automatically configure itself to suit your online needs. It’s not very common to find VPN Mac apps that support as many features as PIA and PureVPN. Both apps support multiple protocols and are very easy to use. Both include advanced features such as a kill switch and auto-connect. PureVPN also supports Stealth protocol on its Mac app, as well as split tunneling. PIA allows you to customize your connection settings very easily or gives you the option to allow the app to automatically configure itself to suit your online needs. Best VPNs for iOS PIA offers a very comprehensive app for its iOS users, by efficiently fitting in it as many of its features as possible. Supporting security protocols directly within an app can be a challenge - especially OpenVPN. However, both PureVPN and PIA support the highly secure and reliable protocol within their iOS app, as well as many more useful features. PIA offers a very comprehensive app for its iOS users, by efficiently fitting in it as many of its features as possible. Supporting security protocols directly within an app can be a challenge - especially OpenVPN. However, both PureVPN and PIA support the highly secure and reliable protocol within their iOS app, as well as many more useful features. Best VPNs for USA PIA is a US-based provider and operates 1000+ servers in 15 locations within the US, facilitating the access of services geoblocked to the US. On the other hand, PureVPN operates 450+ servers in 13 locations within the US. Even though its network within the US is a little smaller than PIA's, it’s more than enough to meet all the requirements you might need from servers in this region. PIA is a US-based provider and operates 1000+ servers in 15 locations within the US, facilitating the access of services geoblocked to the US. On the other hand, PureVPN operates 450+ servers in 13 locations within the US. Even though its network within the US is a little smaller than PIA's, it’s more than enough to meet all the requirements you might need from servers in this region. PureVPN wins by offering 3 price plans, with the lowest really a bargain, while PIA offers 8 price plans, which is more flexible, but most of the time more expensive. PIA also has an economical option of a yearly plan, which comes out cheap in the long run. Both of these global VPN providers are tough contenders that support major devices. PIA takes the lead with their good, old-fashioned customer service over PureVPN’s poor support record. In the end, PureVPN is the only contender that works within China, taking it to the top.